In Canada, health & wellness continues to evolve, creating new demand for healthy products and services in food & beverages and in OTC. 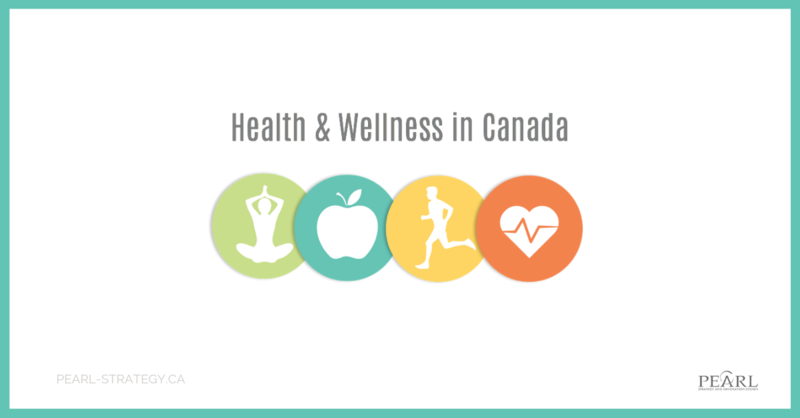 To find opportunities in the health and wellness space, we surveyed 1,000 Canadian adults, with representation across ages, genders and provinces, in English and French Canada, to understand their health & wellness attitudes and behaviours. This is the 1st of a 3 Part blog series that will provide an introduction to our Health & Wellness in Canada study. We hope that you’ll find some insight that will lead to growth opportunities for your business. There is a lot of room for improvement, as over 79% of Canadians are not Very/Completely Satisfied with their personal health & wellness. Men are more satisfied than women. Millennials (19-37 years of age) are less satisfied than the other generational segments while Boomers are slightly more satisfied. To help Canadians on their health & wellness journey, get to know their pain points and show how you will help improve their lives. Targeting Millennials that were less satisfied with their health & wellness may offer larger business opportunities. 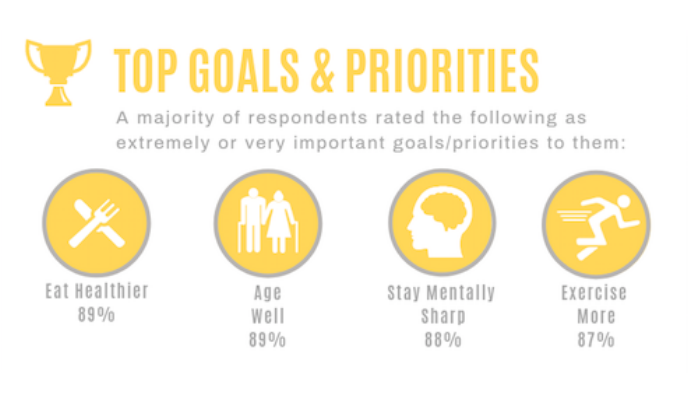 Canadians perceive health & wellness to be a journey as their goals are a mix of actions and results. Eating healthier, exercising more and avoiding and reducing stress are their top priority actions, while aging well, staying mentally sharp and preventing injury & illness are the results they aspire to. Almost all goals and priorities were up versus year ago with the biggest gains in eating healthier and avoiding stress. Develop health & wellness solutions that support everyday actions that lead to long-term results. Conduct rapid prototyping by creating new ideas, gaining consumer feedback, then refining the idea to get to better solutions. 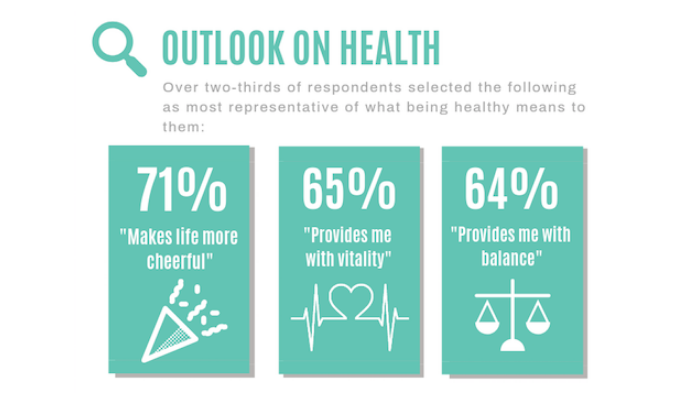 Functional benefits are the most tangible outcomes of achieving health & wellness, however Canadians also strongly associate health & wellness with the emotional benefits of feeling more cheerful, balance and vitality. To create a strong health & wellness brand, appeal to the minds and hearts of Canadians. In highly competitive markets, it can be difficult to sustain a functional advantage. Owning an emotional benefit can be a more durable brand benefit to a consumer. Enter your NAME and EMAIL Below to get a copy of the INFOGRAPHIC and sign up to receive the 2019 HEALTH & WELLNESS in the coming weeks.